Rita fell down the stairs at twenty-two minutes past midnight. 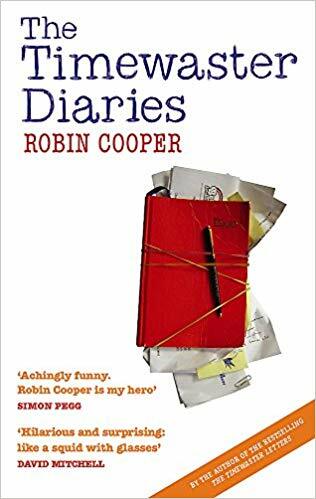 Robin Cooper, author of The Timewaster Letters, turns his hand to diary writing in this hilarious new novel. 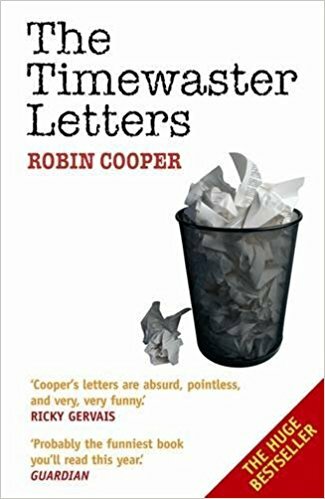 In his 2004 bestseller The Timewaster Letters, Robin Cooper plagued everyone from the Campaign for Courtesy to the British Halibut Association with his bizarre and surreal written requests. In Return of the Timewaster Letters, he delivers another wonderful collection of his polite, persistent and peculiar correspondence. Whether he is raising money for his nationwide hair-drying tour, booking a hotel room for his robot calf, or just trying to get rid of half a ton of unwanted herring, Robin’s imagination, as ever, knows no bounds . 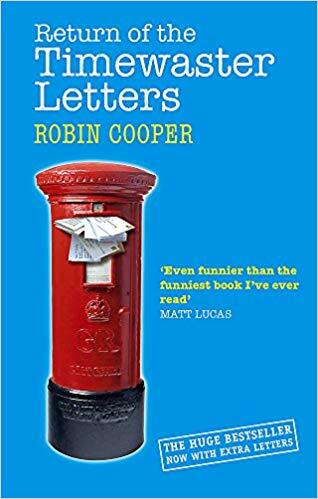 . .
For several years, Robin Cooper has been plaguing department stores, hotels, associations, fan clubs and a certain children’s book publisher with his letters. From Prince Charles to the Peanut Council, Harrods to the British Halibut Association – no one is safe. So who is Robin Cooper?